This is an excerpt from the book "Eat, Pray, Love" by Elizabeth Gilbert. It struck me most because the below stanza's depict my life to a certain extent. "Addiction is the hallmark of every infatuation based love story. It all begins when the object of your adoration bestows upon you a heady, hallucinogenic dose of something you never even dared to admit that you wanted - an emotional speed ball, perhaps, of thunderous love and roiling excitement. 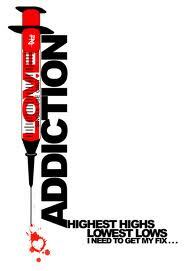 Soon you start craving that intense attention, with the hungry obsession of any junkie. When the drug is withheld, you promptly turn sick, crazy and depleted (not to mention resentful of the dealer who encouraged this addiction in the first place but who now refuses to pony up the good stuff anymore - despite the fact that you know he has it hidden somewhere, goddamn it, because he used to give it to you for free). Next stage finds you skinny and shaky in a corner, certain only that you would sell your soul or rob your neighbours just to have that thing even one more time. Meanwhile, the object of your adoration has now become repulsed by you. He looks at you like you're someone he's never met before, much less someone he once loved with high passion. The irony is, you can hardly blame him. I mean, check yourself out. You're a pathetic mess, unrecognisable even to your own eyes. So that's it. You have now reached infatuation's final destination - the complete and merciless devaluation of self." I totally agree. The only argument I have here is that this applies to all relationships and not only infatuation based ones. Ask me, I have been there done that. I'm not too sure if I was under the influence of a drug or not. Honestly at times it did feel like I was. Well if I was, I guess I am halfway through my rehab. I don't disagree at all.